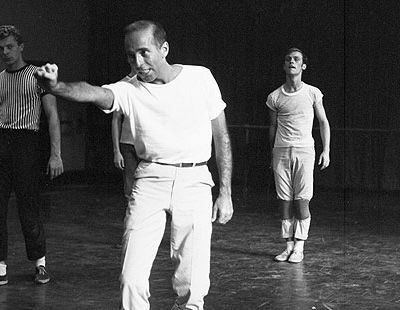 No other creative figure of the latter twentieth century was as contradictory as Jerome Robbins, and few were as controversial. 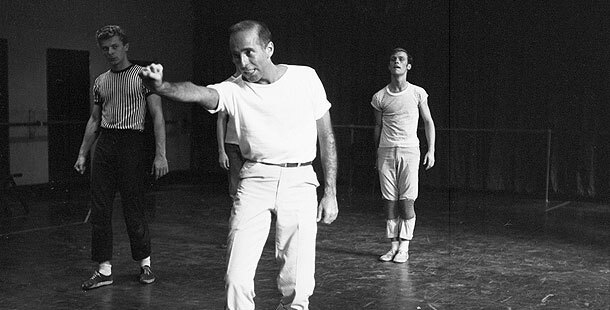 He was a master of the Broadway musical, transforming its possibilities with such works as West Side Story, Gypsy, and Peter Pan, and was one of the greatest ballet choreographers this country has ever produced. Thirteen/WNET’s AMERICAN MASTERS profiles this complex mid-century artist in Jerome Robbins: Something to Dance About, premiering February 18, 2009 on PBS (check local listings). Directed and produced by six-time Emmy Award-winning filmmaker Judy Kinberg and written by best-selling Robbins biographer Amanda Vaill, the two-hour film is narrated by Ron Rifkin (Brothers & Sisters), who performed the roles of both Robbins and his father in a workshop production of the director/choreographer’s theatrical autobiography, The Poppa Piece. This first and only documentary on Robbins features excerpts from his personal journals, archival performance footage, and never-before-seen rehearsal recordings, as well as interviews with Robbins himself and over forty witnesses – among them Mikhail Baryshnikov; Jacques d’Amboise; Suzanne Farrell; Arthur Laurents; Peter Martins; Frank Rich; Chita Rivera; Stephen Sondheim; and Robbins’ Fiddler collaborators Jerry Bock, Sheldon Harnick, and Joseph Stein.